It’s no secret that Japanese people spend most of their day at work. But even with the long work hours, the one thing many Japanese people will not sacrifice is a long, quality bath. For most Japanese people, a shower is not enough. A long soak – we’re talking an hour on average – at the end of the day – each day – is seen as a must. Bath time is a time to relax. And who can blame them? With those long work hours, a long soak is important to regain energy, go over the day’s events, and wash them away to start the next day fresh. To summarize, Japanese people take bathing seriously. It’s no wonder that they produce the most amazing products to make the bathing experience even more pleasurable. It’s something we can barely pronounce. But what we can tell you is that this bath mat is amazing because it will almost instantly soak up all the water from your feet. No more soggy, wet bath mats! Diatomaceous bath mats are made out of rocks from the earth. The rocks naturally absorb moisture quickly. As far as we know, there are a few companies who make them in Japan. And you can probably find them anywhere now. But the ones made in Japan are definitely of higher quality in our experience. 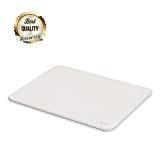 Diatomaceous bath mats don’t need to be washed, they have natural odor-fighting and bacteria-fighting properties, and they are mold resistant, which makes them one of the best-selling bath products in Japan in recent years. If you can’t make it to Japan for a dip in the hot spring, why not bring the hot spring home? Japan produces hot spring bath salts for people to enjoy at home. We’re not talking bubble baths. But bath salts that mimic the hot spring experience – that is, one rich in minerals to promote good health. Hot springs in Japan are not only meant for relaxation, but they are believed to provide various health benefits. They promote good blood circulation and warmth for the body, and they enhance the health of skin. People soak in hot springs not to clean themselves. People soak in hot springs to rejuvenate. In fact, before entering a hot spring in Japan you’re supposed to have already cleaned yourself at the shower station. And while you soak in the hot spring, it’s not uncommon to chat with fellow soakers. Japanese bath stools are typically used when taking a shower. Instead of standing up during a shower, people sit down. Why? Because in the old days, when everyone used to take a shower at the communal bath or sento, taking a shower standing up meant you were splashing the water on your neighbor. Besides, the floor would get wet and slippery all over. So the wooden bath stool was a practical tool to use to take a shower sitting down. While most Japanese people don’t use the sento anymore, wooden bath stools became an ordinary household appliance. Many people still use it to take a shower sitting down. And it’s especially practical for seniors or those dealing with mobility issues. Japanese bath stools are sturdy little chairs typically made out of wood (though nowadays you can find inexpensive plastic ones). They are typically made out of a wood called “hinoki”, or Japanese cypress. Hinoki is a much-loved for its pleasant scent. And it has a beautiful grain and color. These bath stools make an excellent little step stool as well. 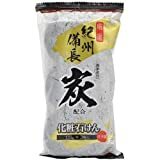 Japanese charcoal soap is known to be an effective cleanser for the skin. It removes all the dirt from your skin and pores, and leaves your skin feeling soft and lighter. For those who suffer from eczema or acne, using charcoal soap regularly can help treat your condition. It doesn’t dry out the skin like regular soap, which is why your skin can heal faster and better. And to round things out, there is simply nothing that spells luxury for your bathroom more than a Japanese bidet. A Japanese bidet seat is an easy way to convert your existing toilet into a bidet toilet. 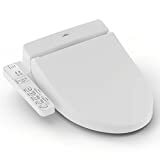 You can get a basic bidet with heated seat and warm water wash, or opt for more luxurious models that have an automatic open and close toilet seat lid and night light as well. If you have any questions about bidet seats, ask them below and we can answer them for you. Don’t forget to tell us your cool Japanese bathroom product if you have one to suggest!